Whew! I think I’m finally rested after an awesome weekend in the DC area! 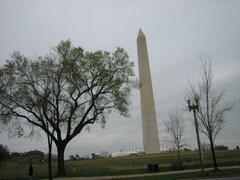 I flew out to DC on Wednesday of last week (the 5th) and flew back on Monday. I was able to attend the weekly K2 dance on Wednesday, the pre exchange dance at the Jam Cellar on Thursday night and then an amazing lindy exchange with awesome music and dancers! Performing bands were Campus Five, Blue Sky 7, Boilermaker Jazz Band, George Gee, and the Boilermakers and George Gee together.Â Oh, and the Clarence Turner Blues band or something like that.Â The blues band was good, but I don’t particularly enjoy dancing to blues music so I really only danced the DJ’d band breaks. I did get more pictures in DC than I did in Sacramento, but I once again somehow avoided getting any pictures taken of myself.Â With my camera at least.Â I may be in someone else’s collection. This was my second time at DCLX and I can’t wait for it again next year! Thanks for the pics - It looks like it was a great exchange. Most of my friendswho wanted to go couldn’t since it was sold out,but I talked to one yesterday who did go and had a blast! DCLX was awesome. So many people, it was crazy! Hi, I’m the harmonica player of Clarence Turner Blues Band. Glad you think we were good. I hope we were entertaining enough to make you stay dancing. Ryan April 27, 2006 at 2:13 PM Dude, you were awesome on the harmonica! I heard several other people say the same thing too. Thanks for commenting!